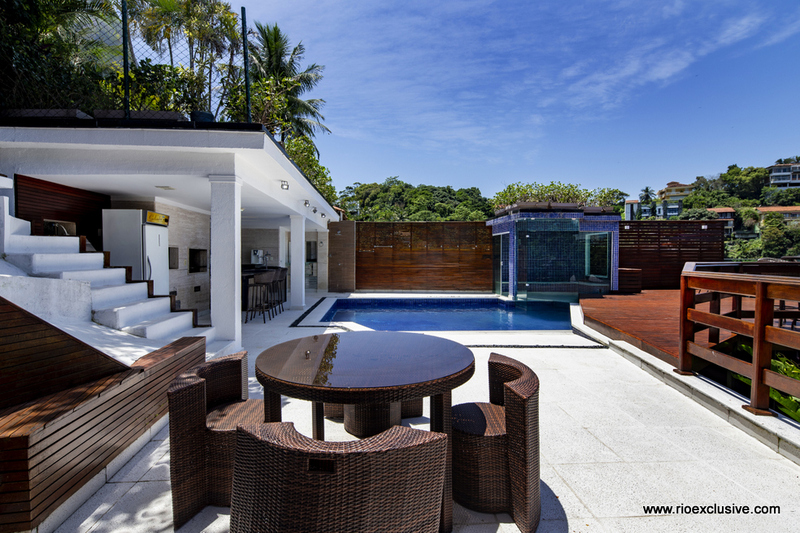 Stunning high end villa in the noble neighbourhood of Joa is available to spend luxurious vacations. 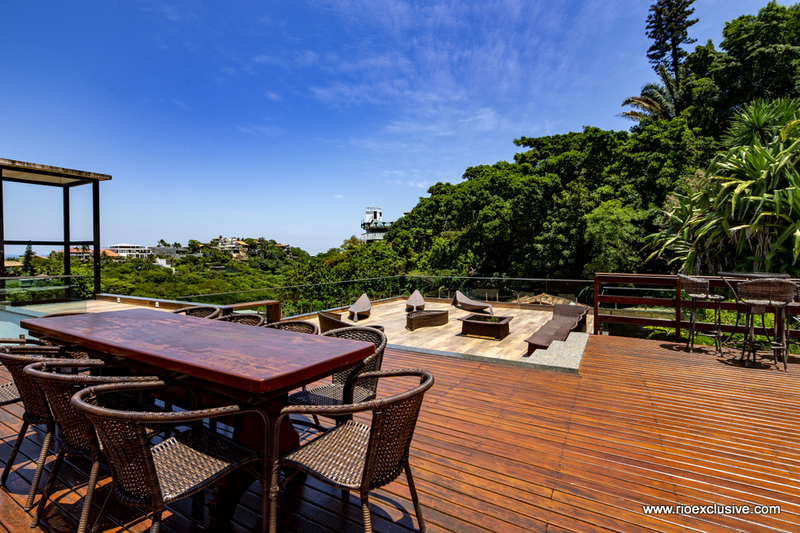 The 6 bedroom mansion holds breathtaking views ready for it's priviledged guests. 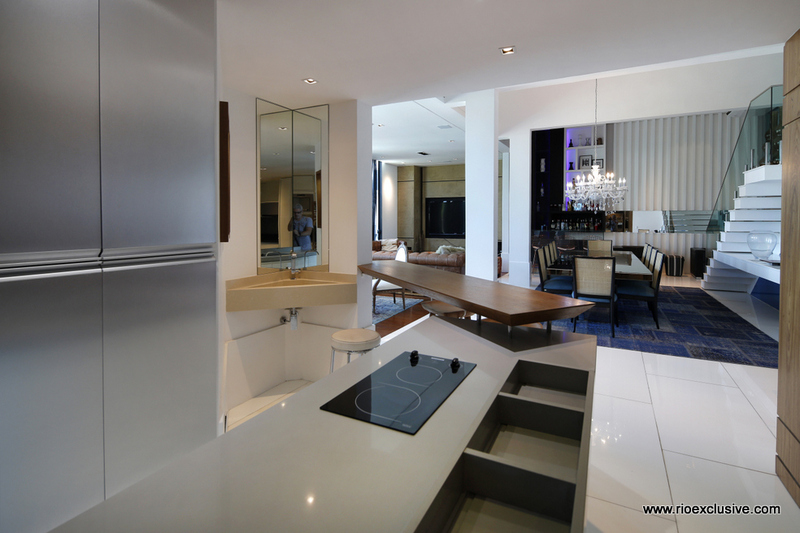 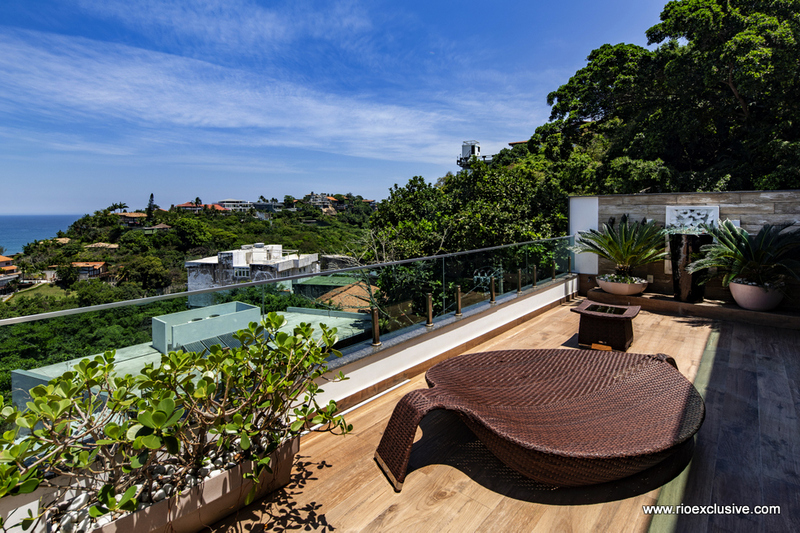 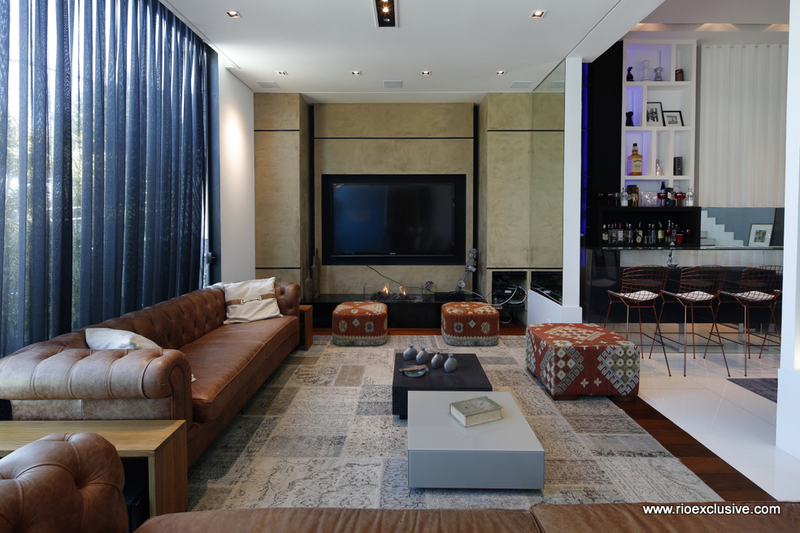 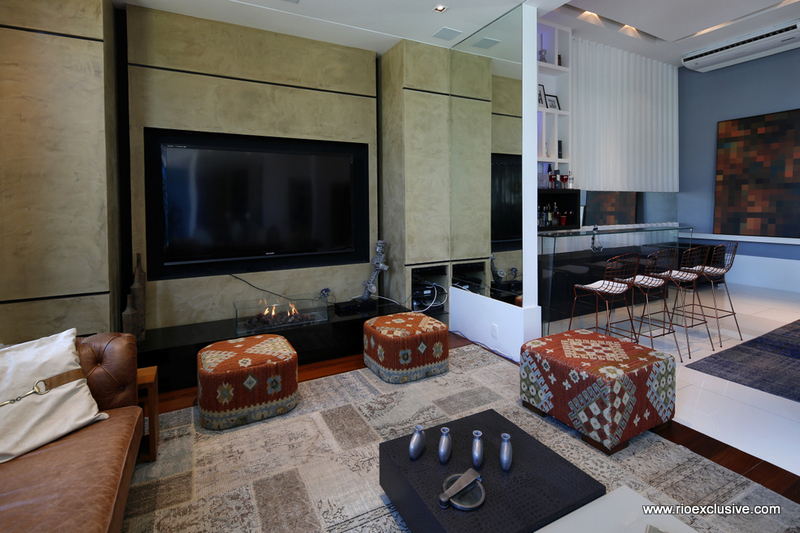 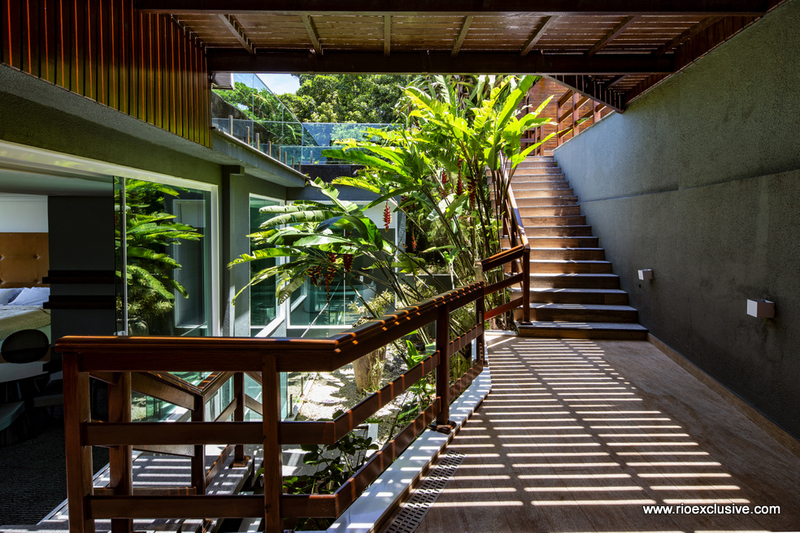 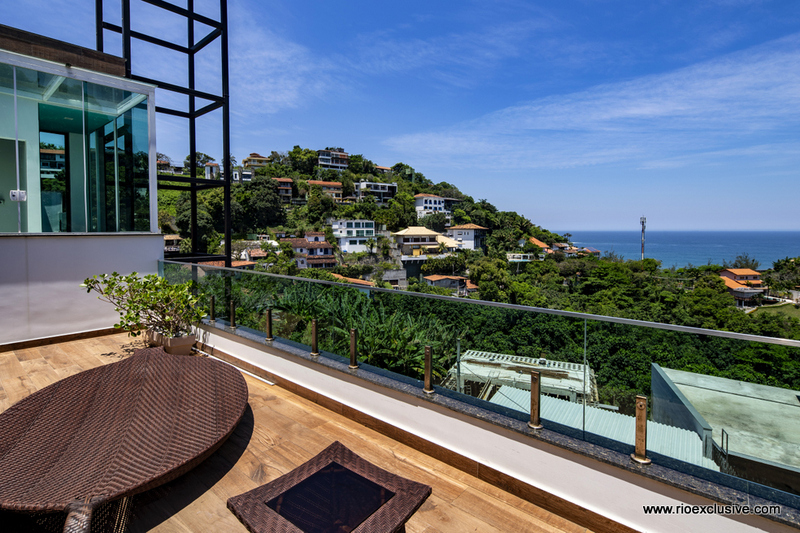 Joa is a very privileged neighborhood as it´s nestled in peaceful green hills reigning over the beaches of Rio de Janeiro and just a stone´s throw away of the vibrant neighborhood Barra da Tijuca where you will find chic bars and restaurants and fancy shopping malls. 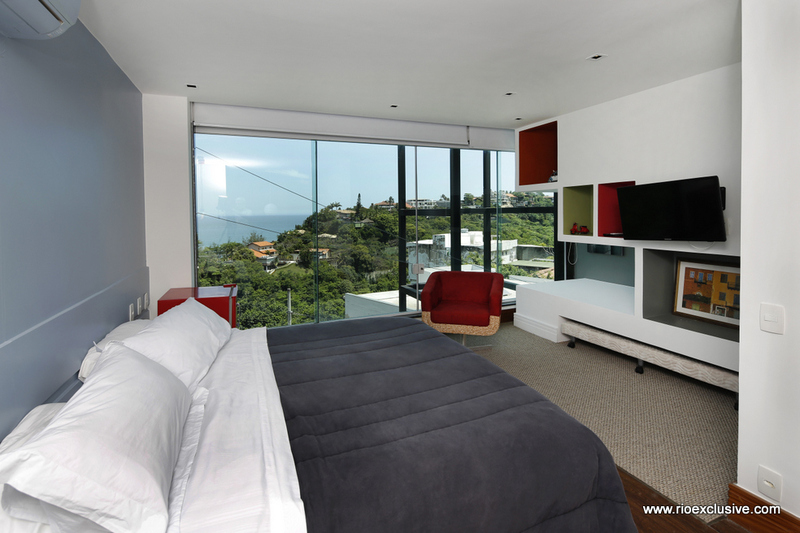 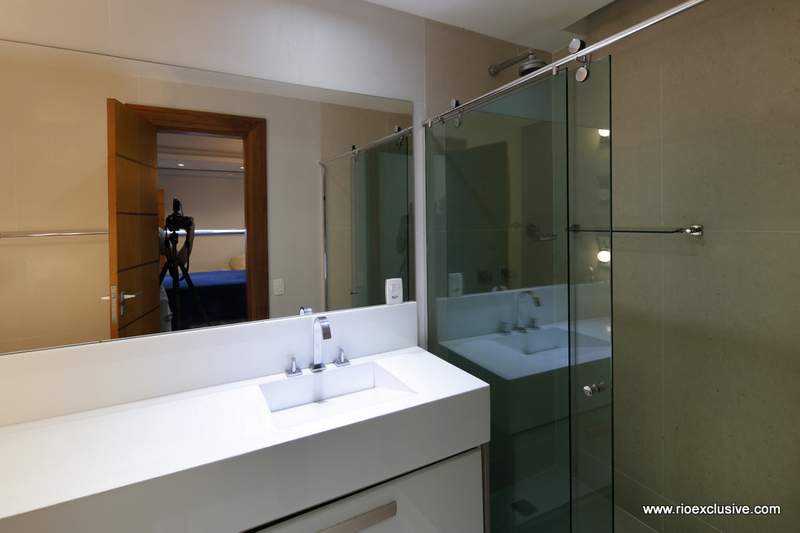 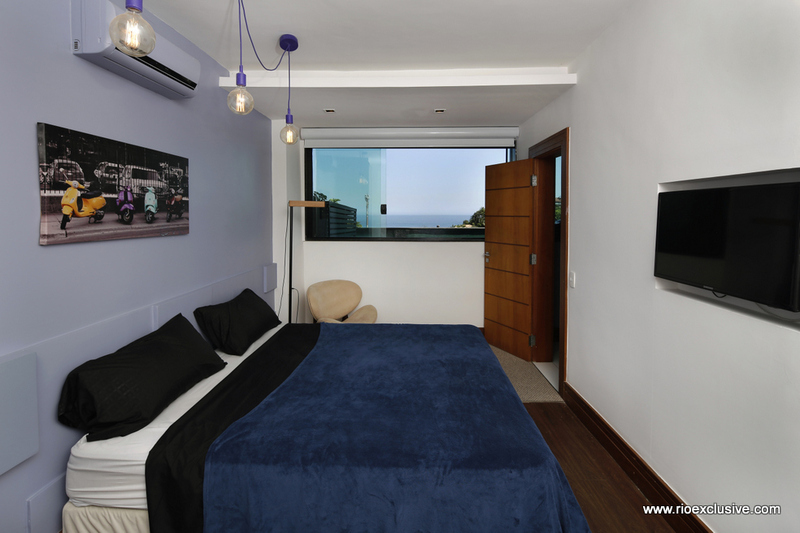 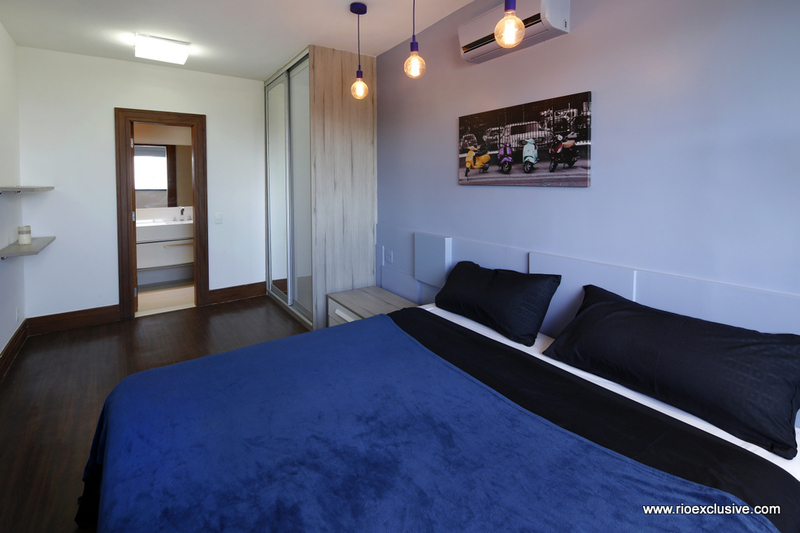 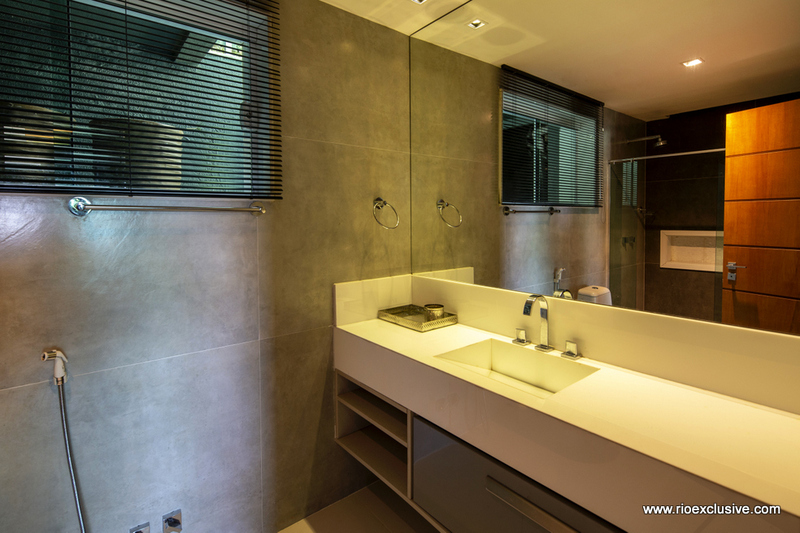 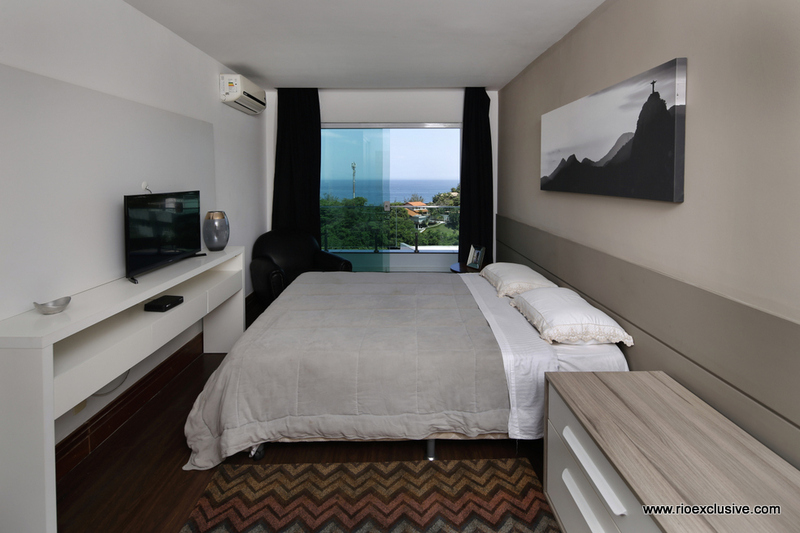 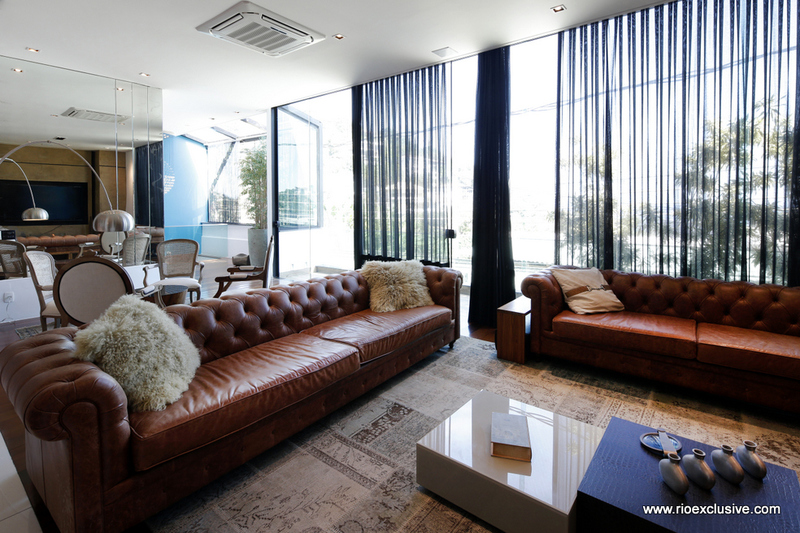 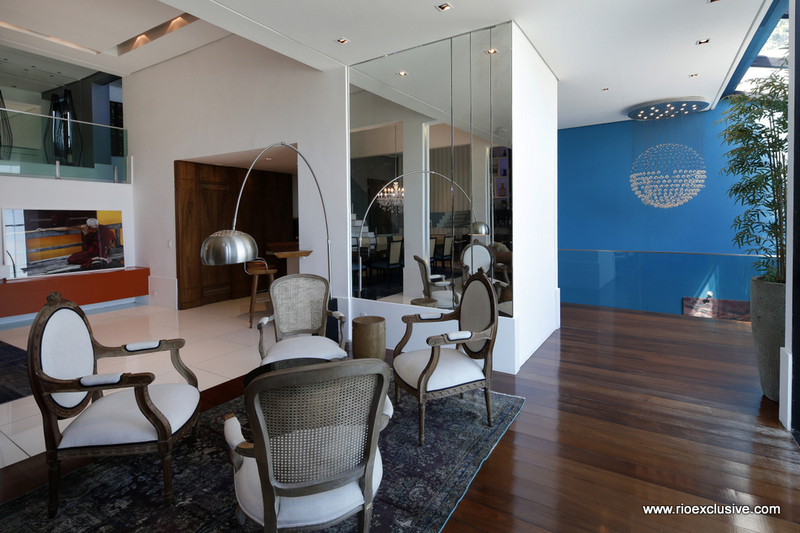 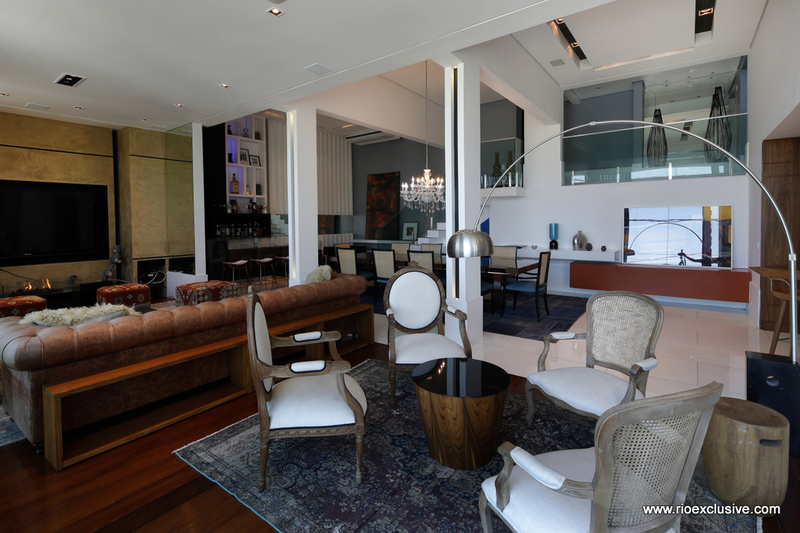 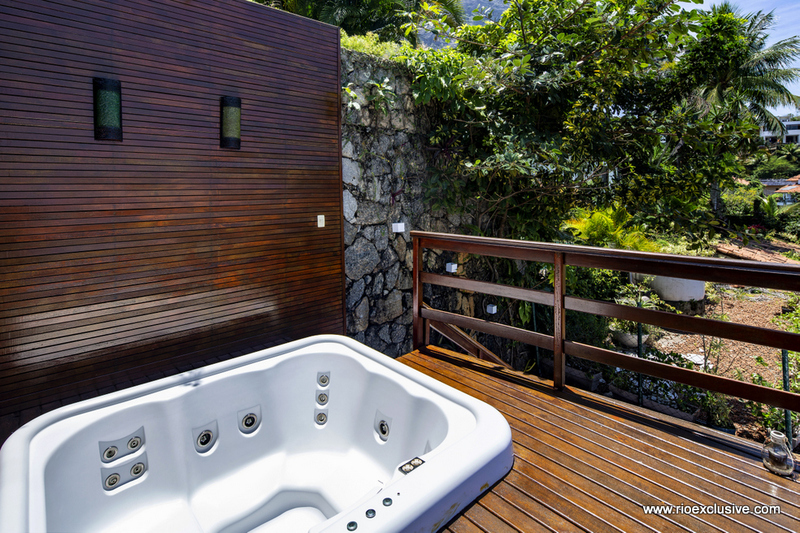 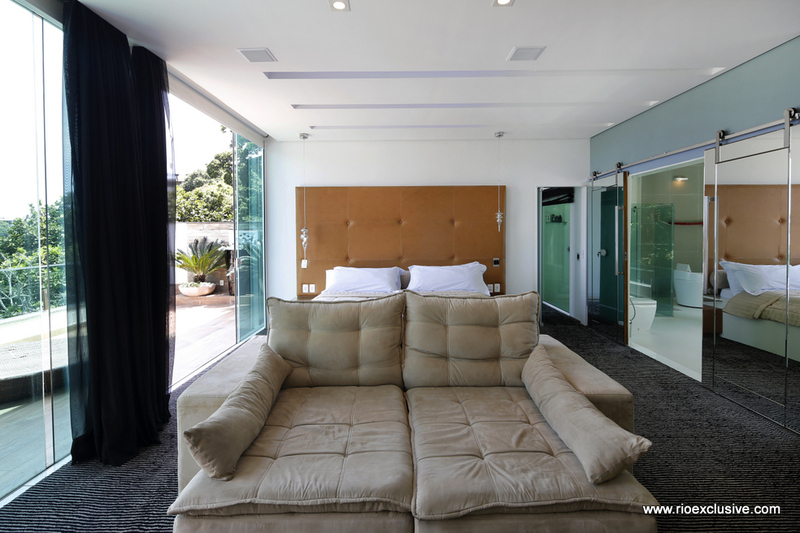 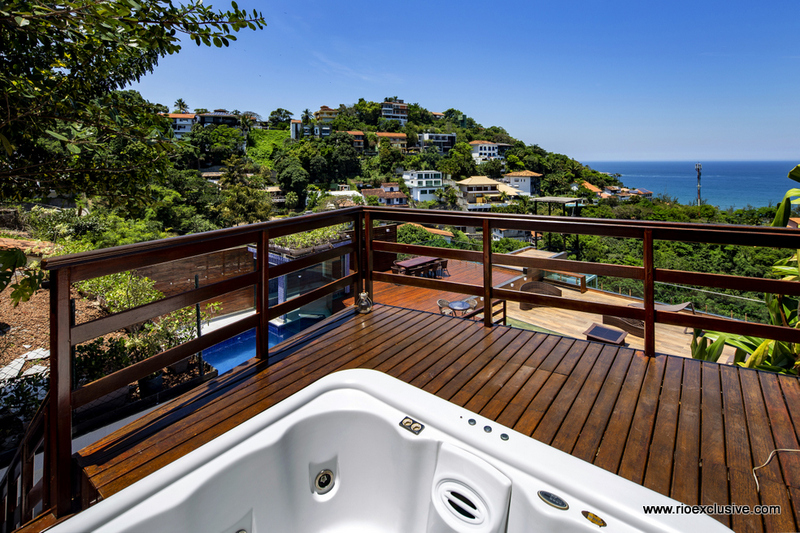 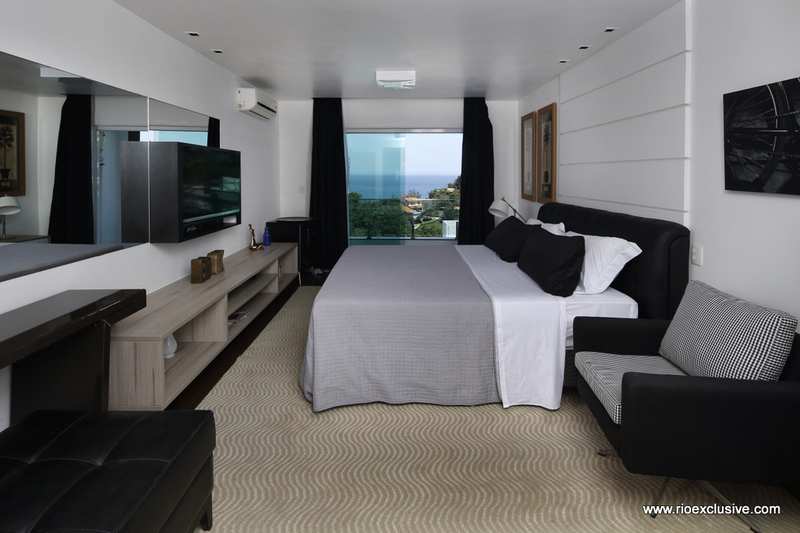 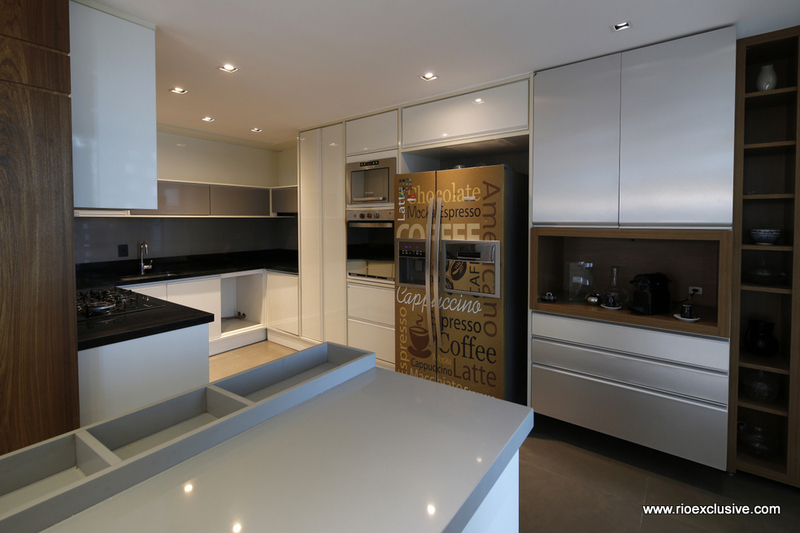 From Joa, you will also have fast and easy access to the famous beaches of Ipanema and Copacabana. 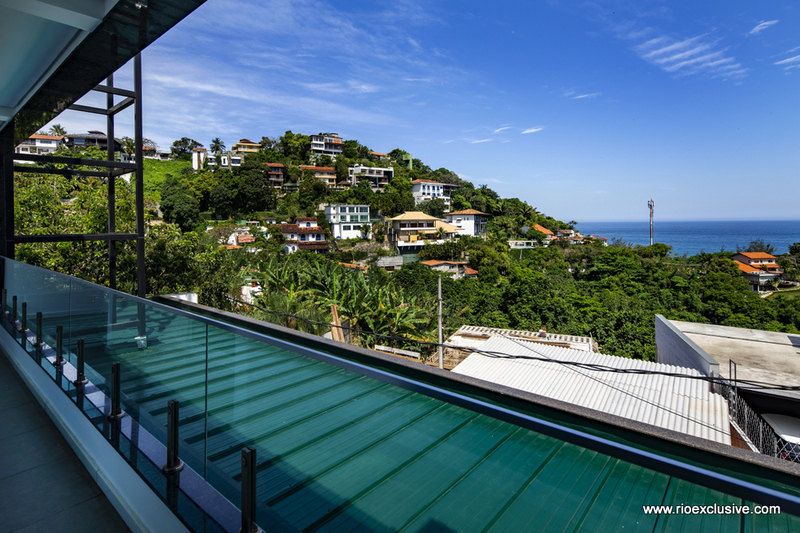 The lush green of the beautiful nature which surrounds Joa and the maritime blue of the ocean is generating a glorious play of colors. 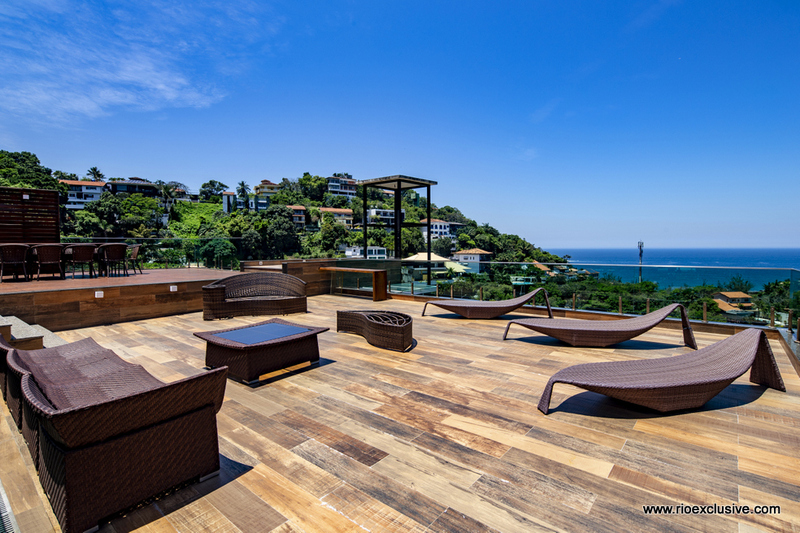 The best way to enjoy this jaw-dropping view is on the tropical designed sunloungers of the immense masterly constructed terrace with infinitive effects. 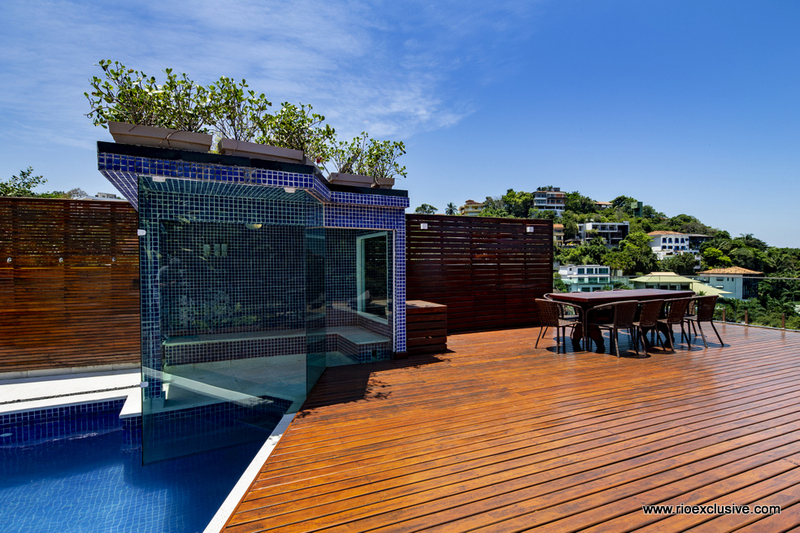 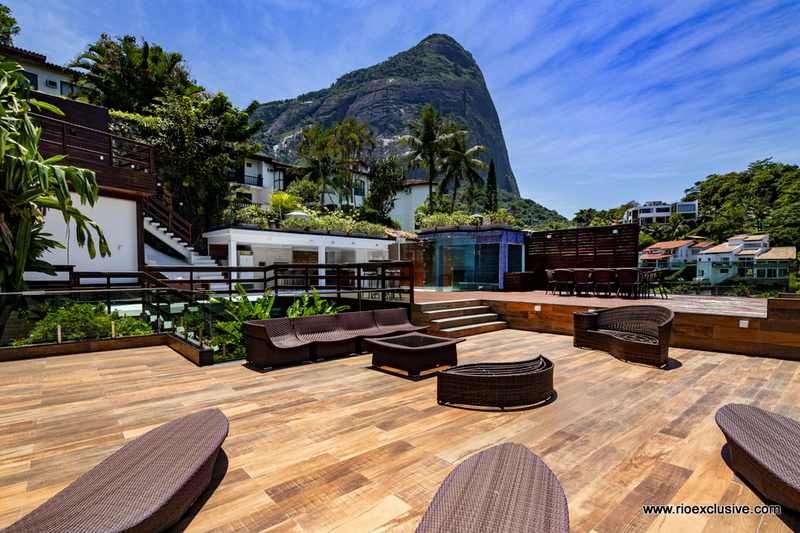 If you feel to cool down from Rio´s heat, there is no better place than the chic swimming pool embedded in the terrace. 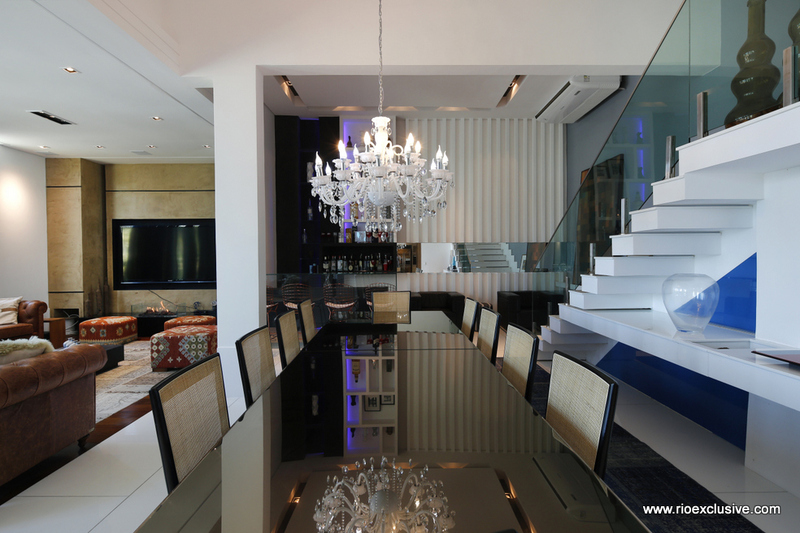 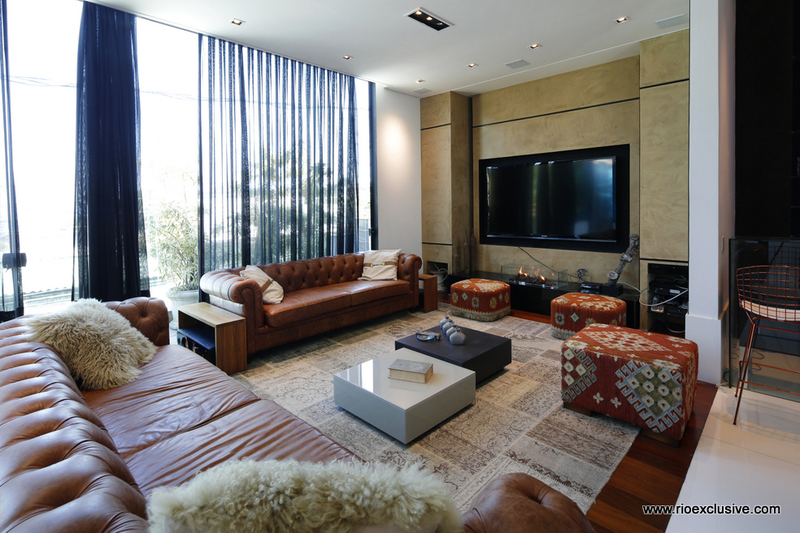 The luxurious interior of this one of a kind mansion leaves no wish unfulfilled. 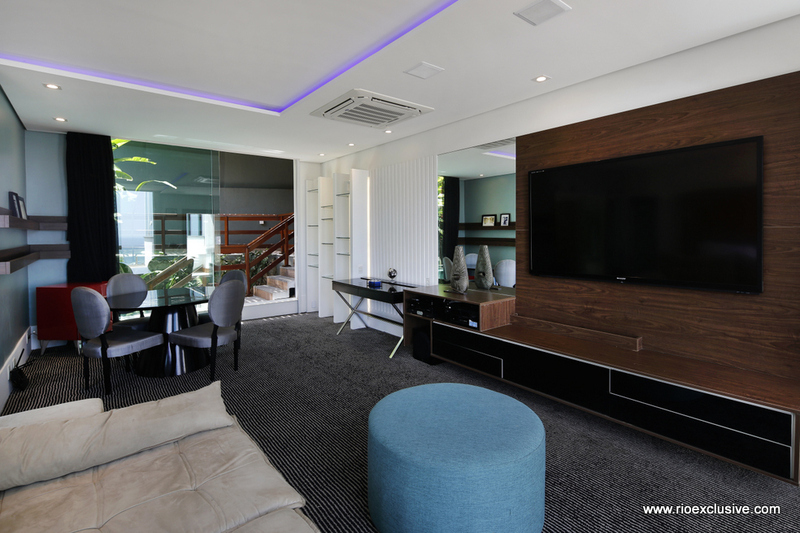 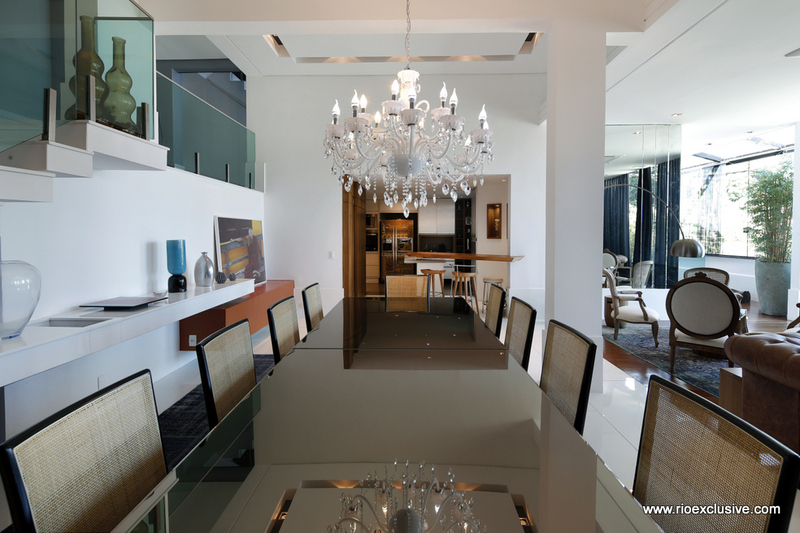 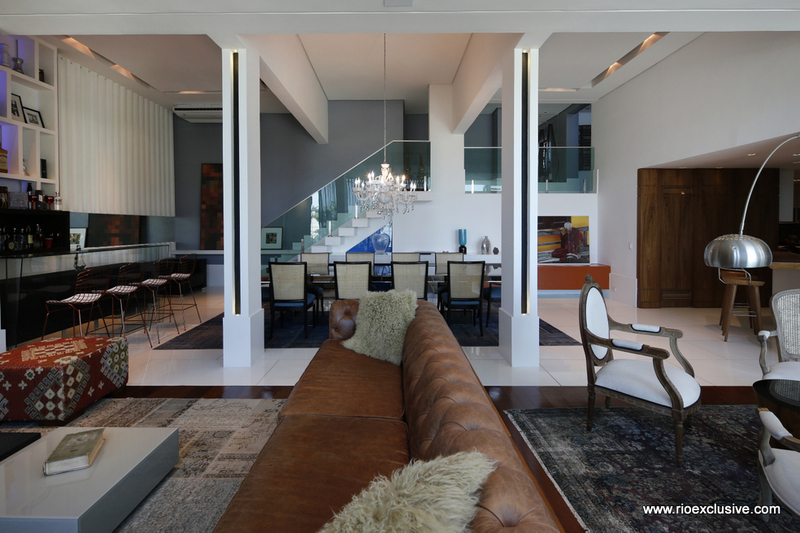 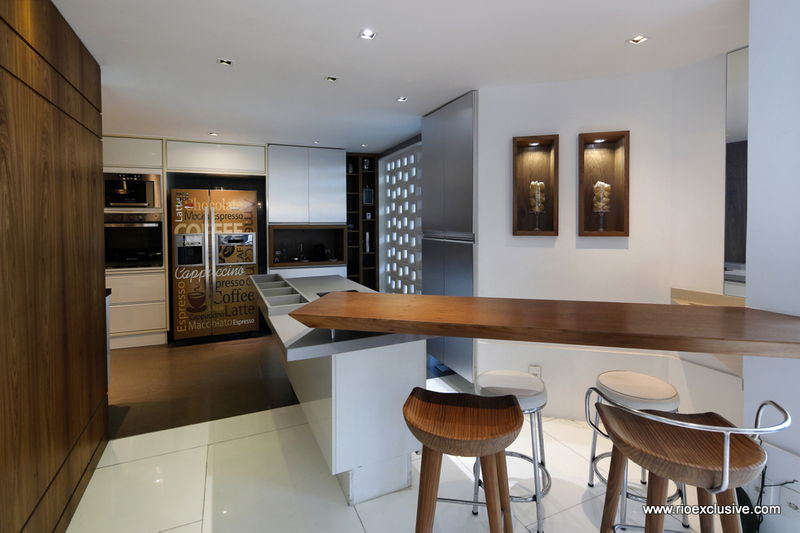 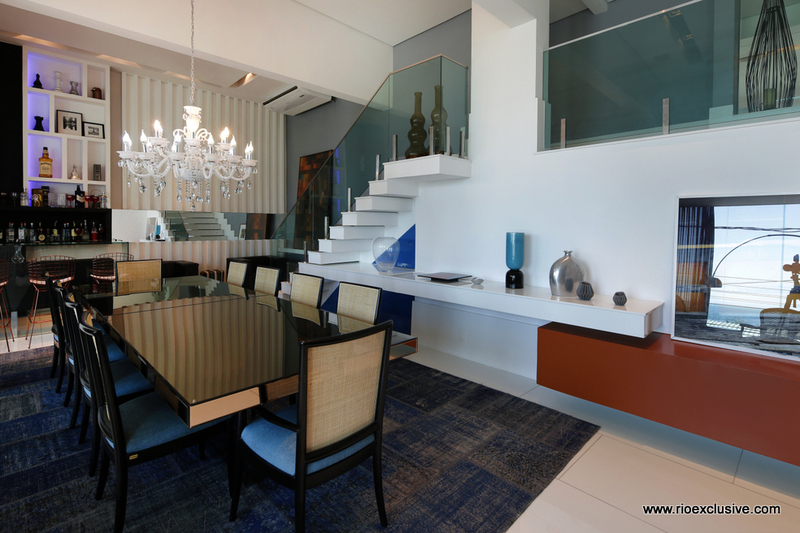 The living and dining rooms are very open and wide designed with high ceilings -modern and comfortable at the same time. 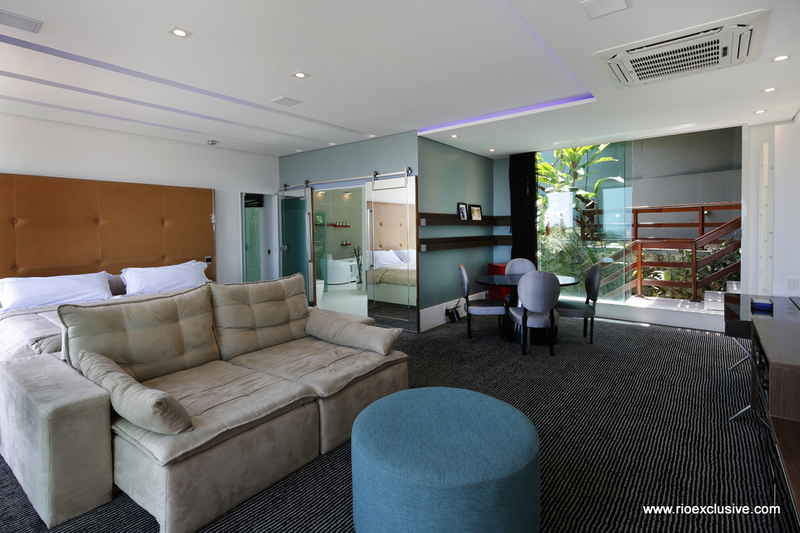 There is also a bar aligned to the living room which gives the place a loungy atmosphere, for sure you will spend some unforgettable evenings with your beloved ones here. 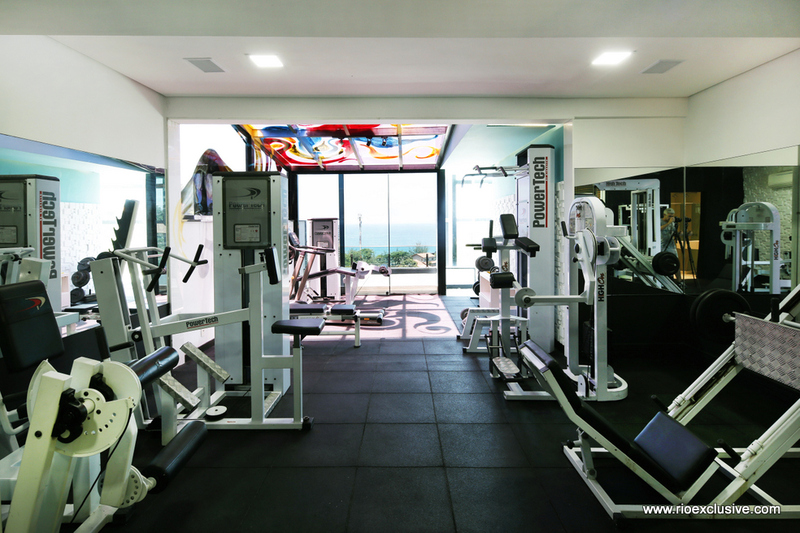 Furthermore, the place possesses a spacious professionally equipped gym and a sauna. 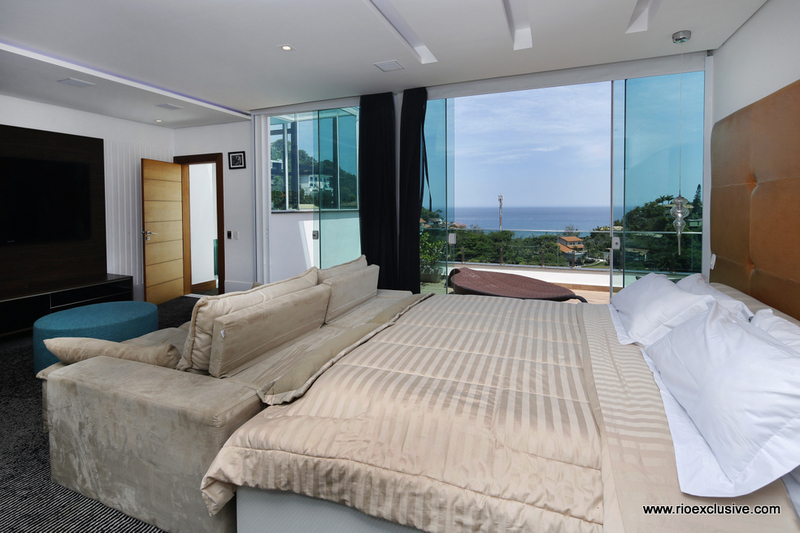 All of the 6 Suites are aligned to the Ocean with big panoramic windows, making sure you can enjoy the amazing view from every angle of the mansion. 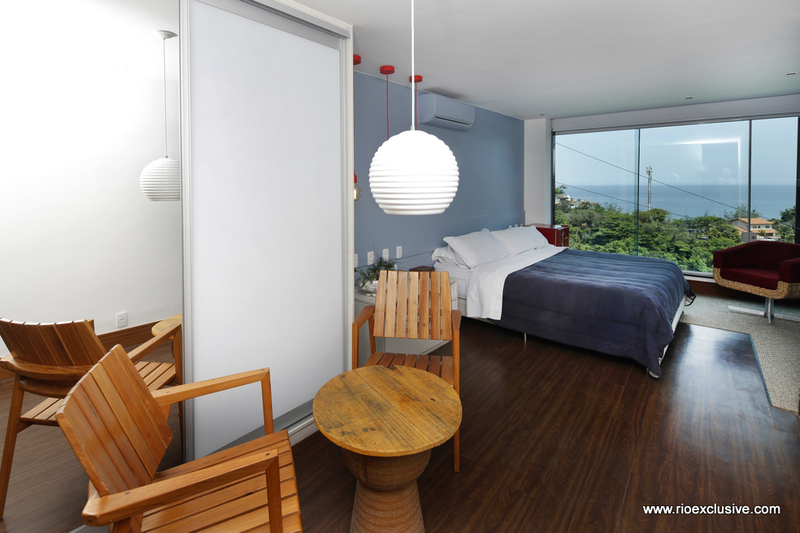 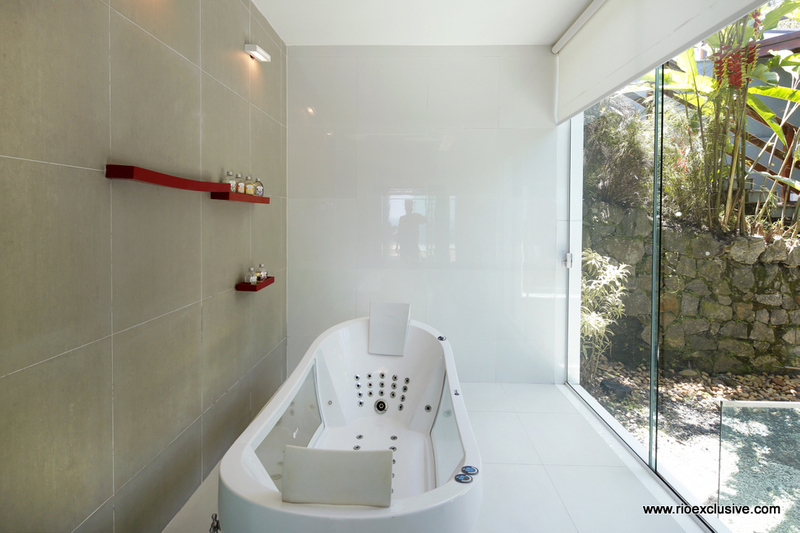 Besides that, all bedrooms are coming with AC, cable TVs and en-suite bathrooms. 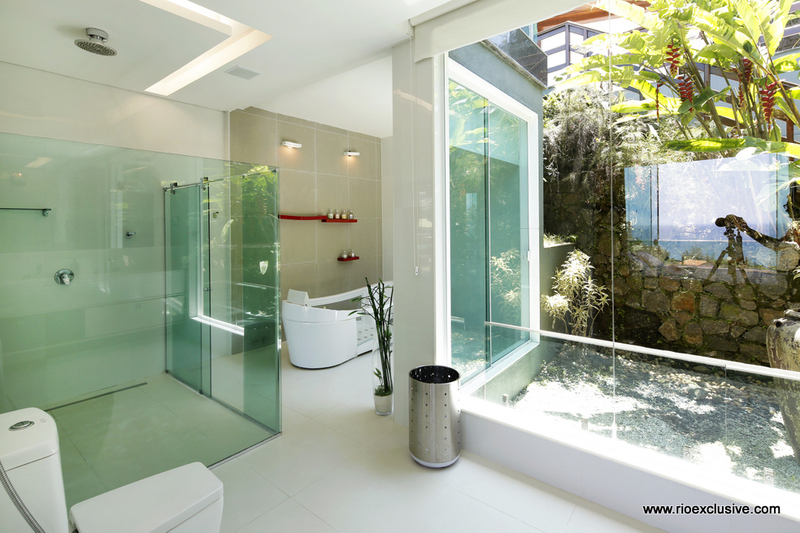 There are 2 more independent bathrooms with high-end amenities. 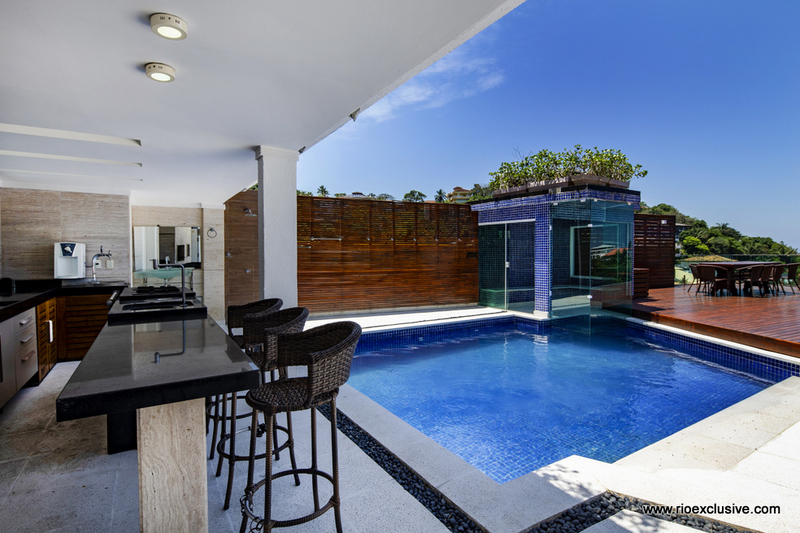 One of them is connected to the patio of the mansion. 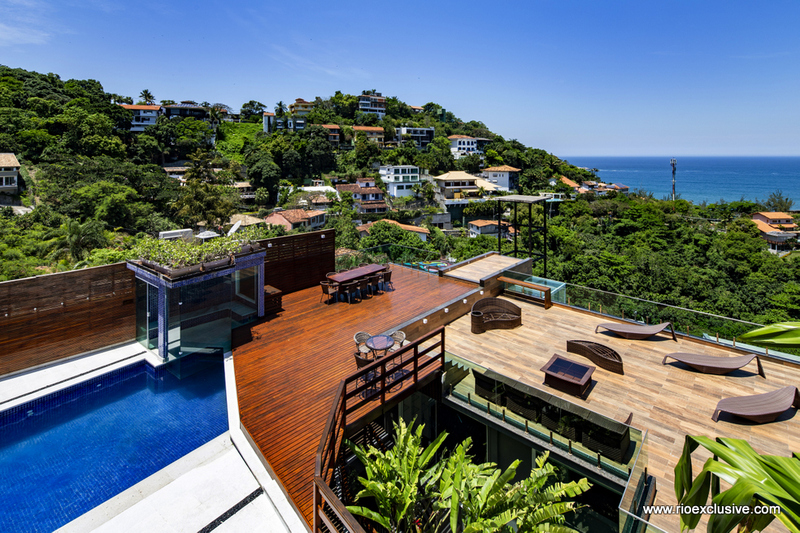 With no doubt, this extravagant place is offering everything to spend unforgettable vacations.